VILSECK, Germany — The American Red Cross is recognizing the country’s everyday heroes during Red Cross Month this March. “Our community is full of everyday heroes who help others in need,” said Kelly Clark, Field Office Coordinator for the Vilseck Complex, which includes Tower Barracks, Rose Barracks, Hohenfels and Garmisch. 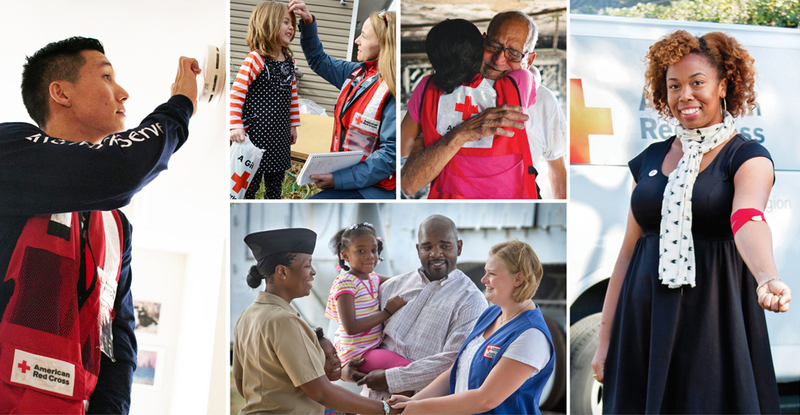 March has been recognized as Red Cross Month for more than 70 years. All U.S. presidents, including President Barack Obama, have designated March as Red Cross Month to recognize how the American Red Cross helps people across the country and around the world. The Red Cross depends on local heroes to fulfill its mission. The Red Cross responds to a community disaster every eight minutes, providing shelter, food, emotional support and other necessities to those affected. It provides 24-hour support to members of the military, veterans and their families at home and around the world. It must collect 14,000 units of blood every day to fulfill the country’s needs. It trains millions of people in first aid, water safety and other lifesaving skills. And it supports the vaccination of children around the globe against measles and rubella. In fiscal year 2015, the Vilseck Complex assisted 228 military families with emergency communications messages and trained 293 people in lifesaving skills. People can find more information about the Red Cross on redcross.org. The Red Cross is not a government agency and relies on donations of time, money and blood to do its work. An average of 91 cents of every dollar the Red Cross spends is invested in humanitarian services and programs. Vilseck Complex has two Blended Learning CPR/AED/First Aid classes in March: in Hohenfels March 5 from 9 a.m.-1 p.m., and at Rose Barracks March 18 from 9 a.m.-noon. Vilseck Complex is also offering a series of Reconnection Workshop classes at Rose Barracks: Exploring Stress and Trauma March 1 from 9-11 a.m., Identifying Depression March a5 from 4-6 p.m., and Relating to Children March 29 from 9-11 a.m.
To register for any of these classes, call 09662-83-1760.